Short biography: Sergey finished musical school on the class of fortepiano; from 1995 to 1999 taught in the Ekaterinburg’s Musical Jazz College on the class of drums. In this period participated in the different music collectives of Ekaterinburg. With the group of Life & Joy won a victory in an all-russian festival GBOB and presented Russia in world GBOB, passing in London. With this group wrote down the debut album “My favorite things”. For the last two years participated in the record of some tracks for such popular and respectable russian artists as Larisa Dolina, Alexander Glyzin, groups “Natharet”, ”Otpetiye Moshenniki” and other. In autumn o2005 was invited in a group «Tarakani!», with which let out 5 albums and for a concert season 2005-2006 gave more than 80 concerts in the different regions of Russia.In summer 2006 with "Tarakani!" took part in all meaningful open-air festivals, such as «Emmaus», «INashestvie», «Motoyaroslavets», «А1», «PUSHKIN-DRIVE», «AIB, and other. 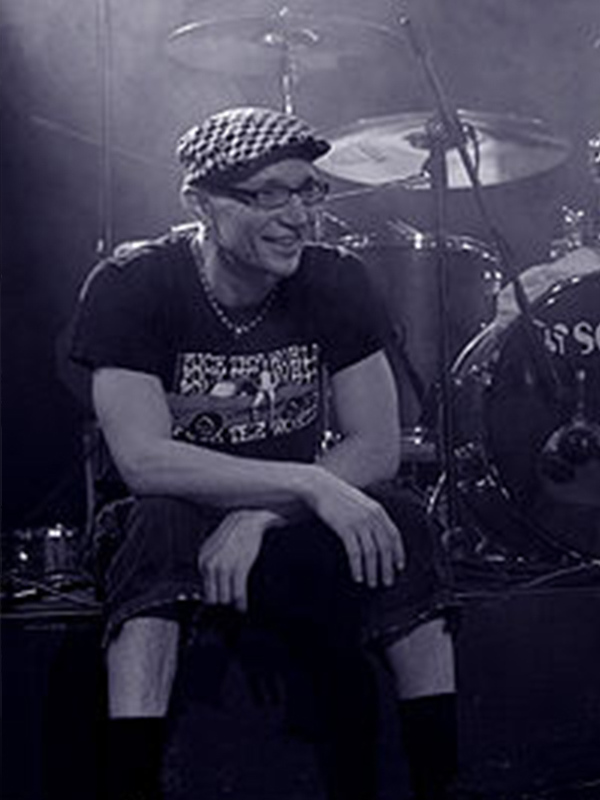 In 2008 Sergey was invited in the collective of one of the leaders and «fathers» of the russian alternative stage, Alexander F. Sklyar. Now Sergey gives a lot of master-klasses through all the country.